The original exploration of aquatic realm comes to life as Aqva Pour Homme Marine gradually unfolds a fresh, luminous aromatic scent dedicated to a man with a vibrant personality. A free spirit who gains his strength from the force of the ocean waves. 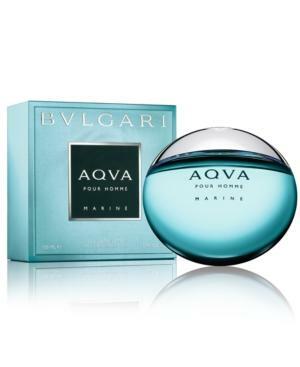 Experience Bvlgari Aqva Pour Homme Marine with this 5 oz Eau de Toilette.